Longer days and warmer weather mean spring is here. Finally! 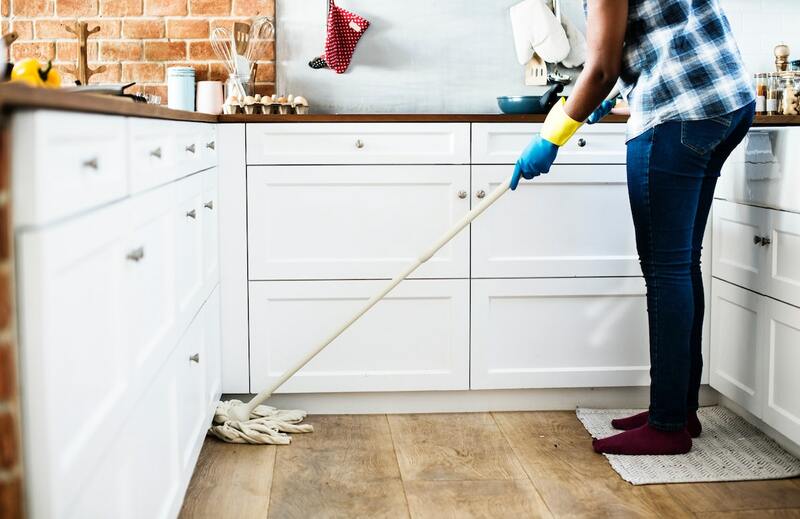 It’s time to get out of your winter funk, get motivated, and tackle some of those clutter areas in your home. Here are seven spaces that can benefit from home organization projects this spring. By this time of year, your closets are overworked and overflowing with stuff you seldom wear. Bulkier winter clothing also tends to eat up more of your precious closet real estate. If your closet space is bursting at the seams and failing to meet your storage needs, make use of that underutilized spare room in your home to significantly expand your wardrobe storage options. Transform the spare room into a large walk-in closet (also known as a dressing room). 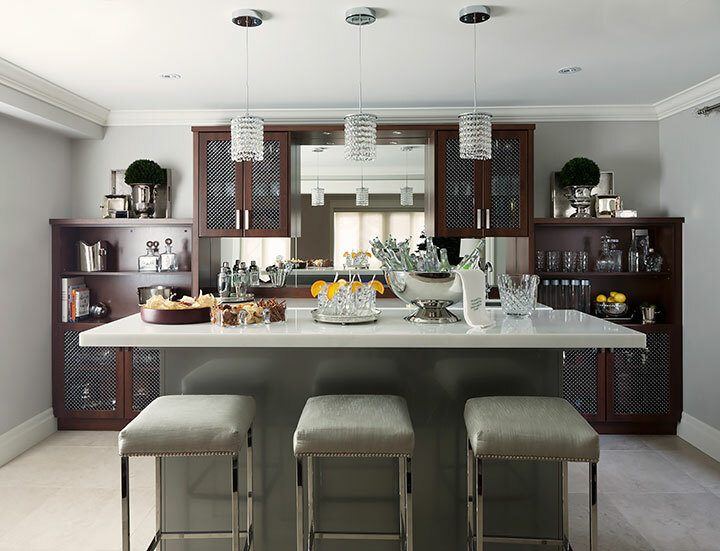 Create a home for all of your clothing and accessories with wall-to-wall cabinetry. You can also add a makeup table and lounging area that’s personalized for your needs. If you’re constantly cleaning up clutter on your bedside table and around your bedroom, bed surround storage is a solution you may not have considered. Get your bedroom organized with a bed surround that maximizes storage space. 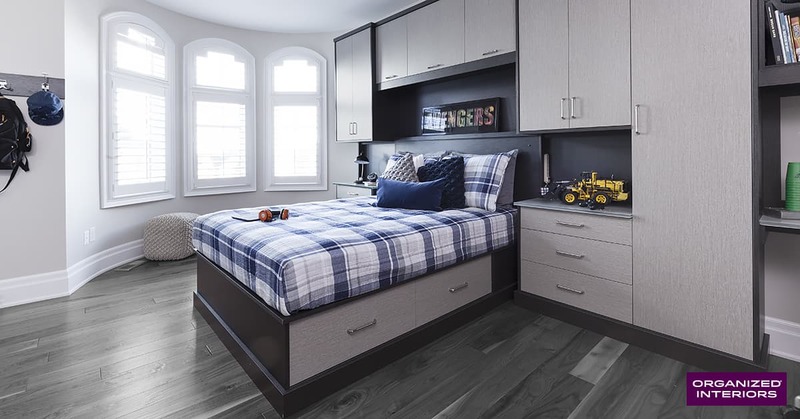 Underbed, overhead, nightstand, and wardrobe storage space can all be incorporated into the bed surround’s custom design. A bed surround also nicely enhances your bedroom’s décor with its stylish, bespoke design. 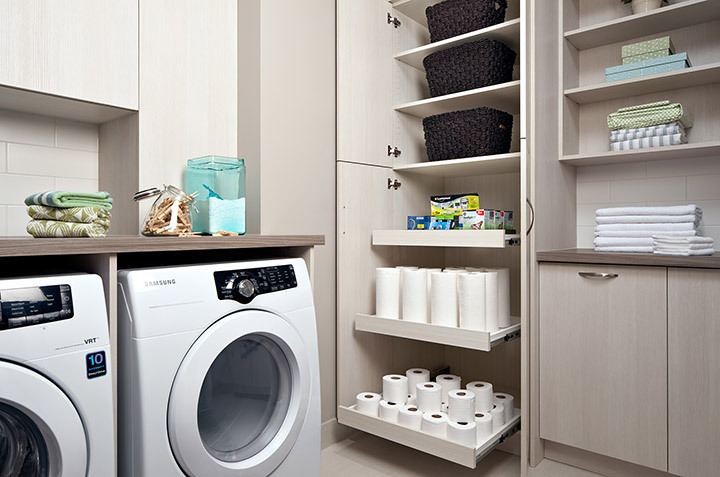 Laundry rooms can be dark, dreary rooms that lack nobody wants to spend time in. Why not improve the space with a laundry room makeover this spring? Our designers can transform your laundry room into a modern-looking space that’s more comfortable and enjoyable to spend time in. 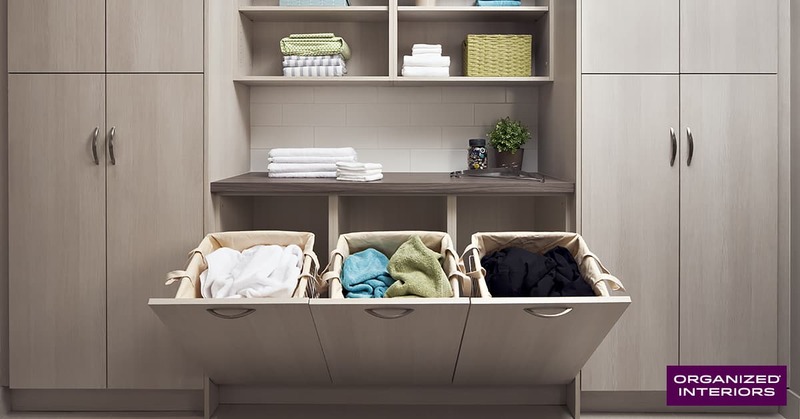 And as one of your home’s hardest working rooms, we can also increase the functionality and usability of your laundry room with improved storage that includes new cabinetry, pullouts, and accessories. Warmer weather means you and your kids will be spending more time doing outdoor activities. 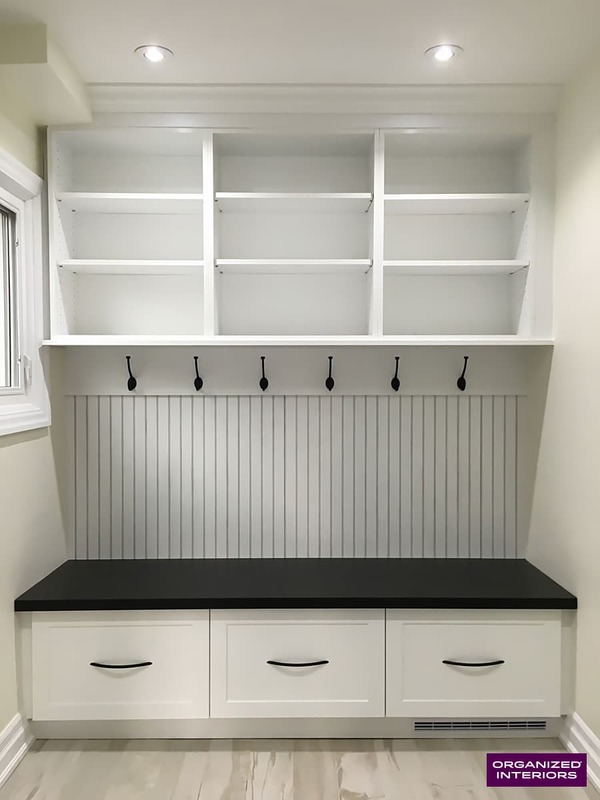 One effective way to stay organized with an increased level of traffic coming and going from your home during the spring and summer is to add a mudroom. A mudroom is practical for any home and can be combined with a laundry room, be a small room near an entrance, or simply a dedicated space in the hall of a front entryway. Add extra storage space for all of your family’s outdoor apparel and accessories to minimize clutter and keep muddy footwear in a contained, transitional area. Is getting dressed every day an exhausting, frustrating process due to the sad state of your closet? If budget or space limitations make a walk-in closet impractical, improving your reach-in closet with a closet organizer might be the solution for you. 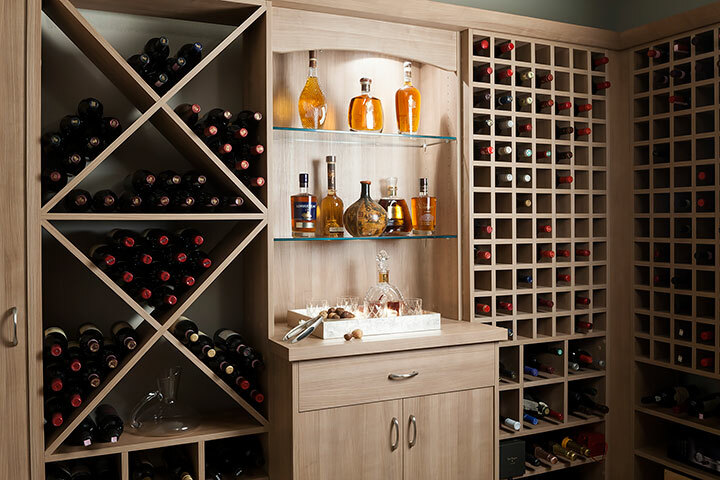 Depending on your needs, the design of a reach-in closet can be really simple or quite extravagant. Either way, you will maximize the storage space in your closet and greatly reduce the clutter in your room. 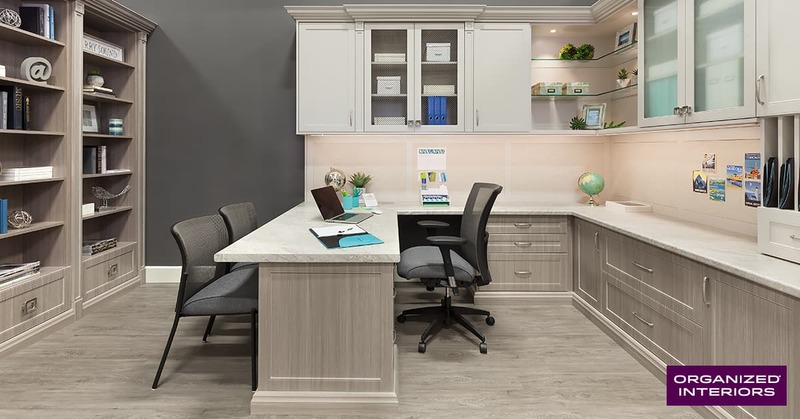 If you’ve been thinking about adding a workspace to your house, why not make it the home organization project you tackle this spring? 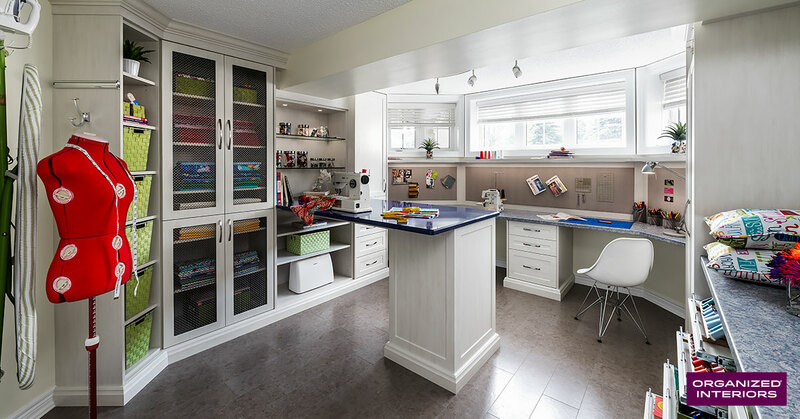 A home office creates a functional, private space that mom or dad can use for working and the kids can also use as a study space. 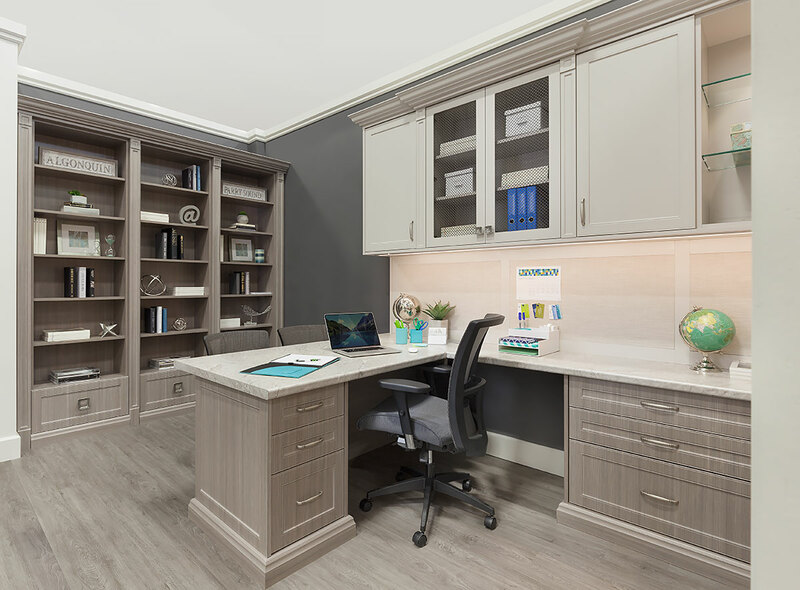 Organized Interiors’ bespoke home office designs can utilize a guest room or even use a corner carved out under a staircase. Another great spare room idea is to create a guest room that includes a space-saving wall bed (also known as a Murphy bed). A pullout wall bed is much more comfortable for your guests than a futon, sofa bed, or inflatable mattress. 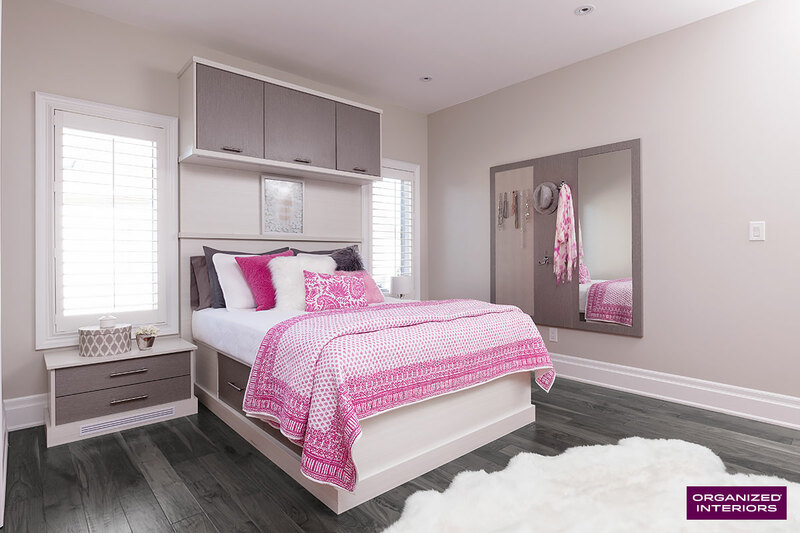 The wall bed unit’s integrated storage systems and stylish design also create a more hospitable, welcoming space for overnight guests. These are just a few of the practical home organization projects worth taking on this spring. Regardless of what area of your home needs help, Organized Interiors has a storage and organization solution that can be customized just for you. Schedule a free design consultation to have an Organized Interiors designer come to your home and provide you with a detailed quote. How many times have you been befuddled by how difficult it is to find something to wear when your closet space is so full? It’s a very common problem and something that’s bound to happen if it’s been awhile since you last set aside some time for a closet purge. But enough is enough. You’re tired of dealing with your untidy closets every day, so it’s time to simplify things by streamlining your wardrobe and making a few tough choices about what’s worthy of your closet space. Think of a closet purge as hitting the reset button on your closet space. Closets are a busy, ever-changing space that need some occasional maintenance in order for you to get the most out of them. 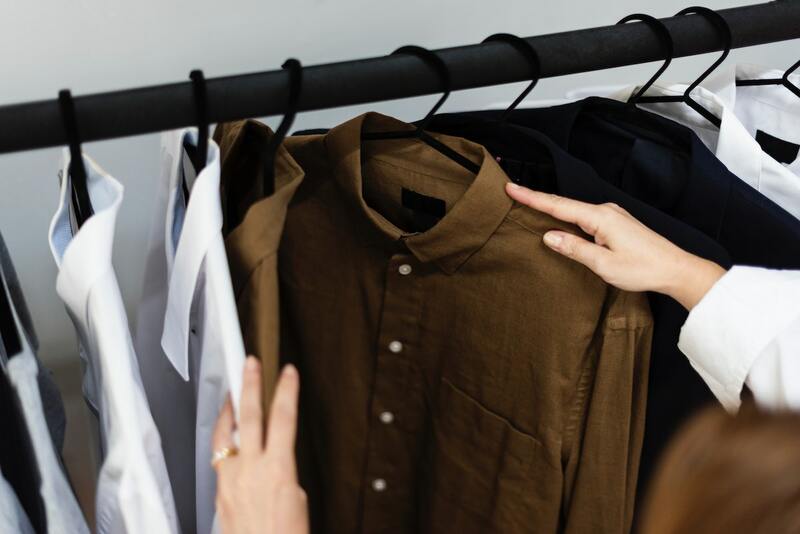 A “less is more” approach to how much you’re keeping in the closet tends to be more effective when it comes to making efficient use of the time you spend choosing what to wear every day. Having too many things to choose from taxes your brain and, naturally, slows down your decision-making process. This is known as “choice paralysis”, “decision paralysis”, or “analysis paralysis”. It’s not unique to closets, either. Just think of how many times you’ve struggled to make a decision when choosing from a lengthy restaurant menu, when shopping online or in a grocery store, or even when trying to find something to watch from the thousands of choices on Netflix. With a little time and care, you can get your wardrobe down to a more manageable size and remove one element of stress from your day, so getting dressed can be a pleasure and not a chore. Here are three tips that can help when you take on your closet purge. A closet purge can be time-consuming and daunting. The simple act of fully committing to your closet purge project is a great first step on your path to success with this endeavour. Make sure to schedule a sufficient amount of time to devote to your closet purge, preferably with as few interruptions or distractions as possible. Work, parental, or household responsibilities (or all three) may severely limit your free time, necessitating a slower “chipping away” at your closet decluttering process. Devoting a full day to the project in order to get the task over with quickly may be an approach that works better for you. This method tends to be more effective because you can sharpen your focus on the task at hand and be little more thorough with your closet purge. For example, you can empty out everything from your closet, give the closet a good cleaning, and let it air out. It’s always a good idea to enlist a little help in order to lighten the workload and speed up the purging process. Be prepared with boxes or bins for the purged clothing that you wish to donate. Remember to pace yourself and take some breaks. Let’s face it, a closet purge can be a rather mundane and laborious task, but it is a necessary one. You’ll undoubtedly be faced with numerous tough choices when carrying out your closet purge. What stays and what goes? A common worry is that you’ll get rid of too many things, but that’s better than getting rid of too little. Those choices can get even more difficult when strong emotions like sentimentality and pride are factored in. It’s particularly difficult to get rid of those never-worn clothing items that were too-good-a-deal to pass up. Doing so feels wasteful, but try to look at it from a different perspective. Is something you have no personal connection to, that couldn’t even make its way into your wardrobe rotation, really worth feeling that guilty over? Chalk up the purchase as a mistake and sunk cost and add it to your “donate” pile. A charity will benefit from your donation and a stranger can hopefully get more out of it than you did. And your closet space will have one less piece of clutter in it. Your closet purge can also involve simply making smarter use of the storage space. Are items taking up hanging space that could be stored in drawers, such as t-shirts or jeans? Unless you have a comfortable amount of storage space for them, out-of-season clothing should also be stored somewhere besides your bedroom closet in order to allow for more room for your seasonally appropriate wardrobe items. Once your closet purge is completed, hopefully you’ll have a lot more closet space and have whittled down your wardrobe to a size that’s more practical and balanced for your needs. With the luxury of more room, you can reorganize your closet with whatever method you prefer, whether it’s colour coordinating or grouping like items together. A closet organizer system that maximizes your wardrobe storage space is well worth the investment. It may be tempting to take advantage of the opened-up space by adding a few new pieces, but try to live with your curated closet for a little while before going on a clothes shopping spree. Identify and make note of some possible future clothing needs and you may even find that you can shed a few more items from your collection over the weeks following your closet purge. It’s okay (and quite likely) to have some items that you’re “on the fence” about getting rid of. For those items, put them through the “turned clothes hanger” test. This simple, yet clever idea involves hanging any clothing you’re unsure about parting with the opposite way you’d normally hang them. If you wear any of these items, hang them up the proper way. Revisit your wardrobe after a set amount of time (about 4-6 months) and look at which of the clothing items never got worn. If there was no need or urgency to wear something after all that time, you shouldn’t be as conflicted getting rid of it. A closet purge once a year helps to maintain the functionality and efficiency of this vital home storage space. 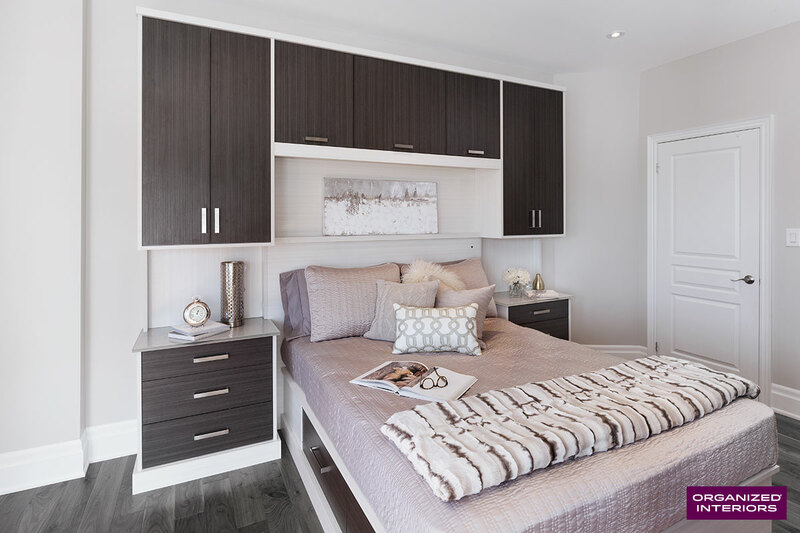 To make your now-decluttered closet even more functional and easy to maintain, schedule a free in-home design consultation with Organized Interiors today. For some couples, sharing a closet space can be quite the challenge. 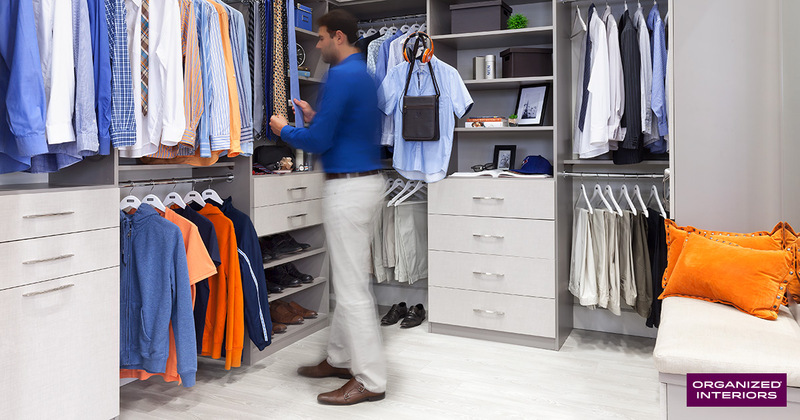 A shared closet space unquestionably has a different dynamic than a one-person closet space. Adapting to using a shared closet as the result of a new living arrangement can be one of a couple’s biggest challenges once they start living under the same roof. Even if you’ve been with your spouse for a long time, maybe you’ve never quite seen eye-to-eye on your shared closet arrangement. And if one partner’s organizational skills aren’t exactly their finest attribute (to put it diplomatically), that only makes things more of an uphill battle. A survey by self-storage company SpareFoot found that clutter was the cause of arguments for 48% of the cohabitating couples they polled. Not surprisingly, messy closets were the main reason for couples arguing about clutter. Another study of 3,000 adults in the UK for Esure Home Insurance found that 40% of respondents argued regularly with their partner over lost items. Stop having the same arguments over and over with your partner about your shared closet. 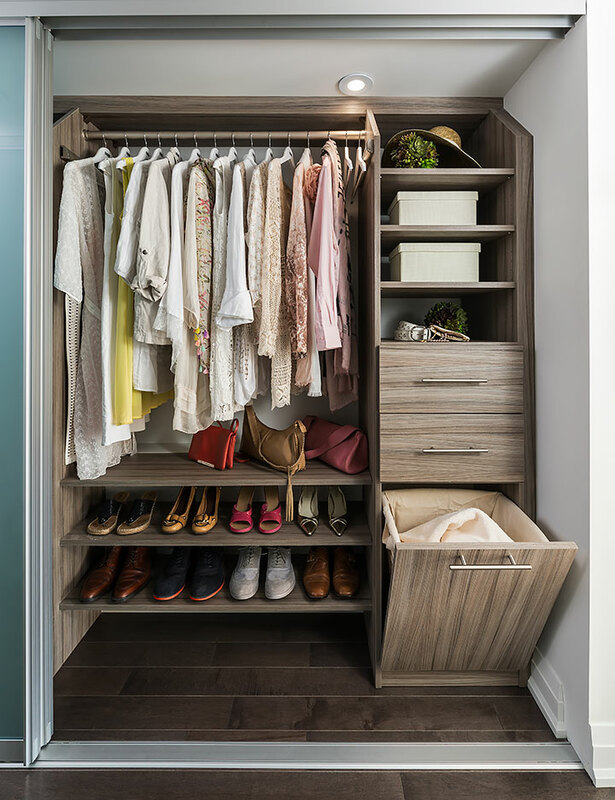 Use these seven tips to make the closet you share a harmonious space, instead of a space that causes tension and conflicts. 51% of the couples arguing about closet clutter from that SpareFoot survey ended up getting rid of some clothing to appease their partner. When you’re working your way towards creating a harmonious shared closet space, it’s essential to ensure the closet isn’t being occupied by non-essential items. One group of organization experts (the National Association of Professional Organizers) estimates that 80% of your clothes are only worn 20% of the time. That sobering statistic explains why it’s such a challenge keeping any closet space tidy. Simplify things by decluttering your closet and getting rid of things you and your partner never (or rarely) wear. 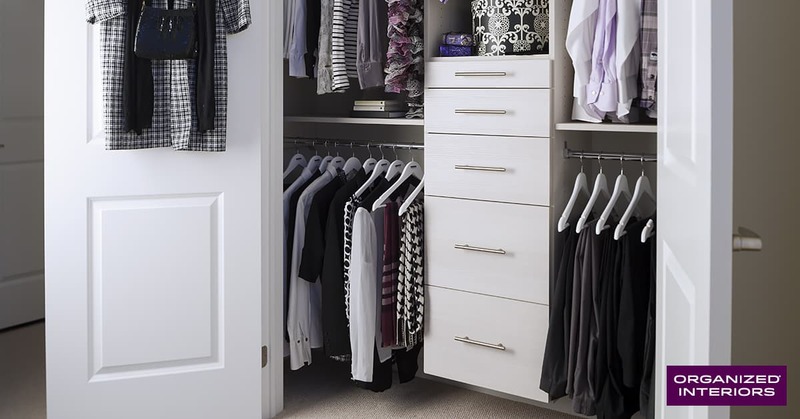 Start by moving your out-of-season clothing somewhere else, which will make the closet space easier to manage. Another reason to declutter before making over your closet is you’ll get a much better idea of how much space you both actually need. Once that’s been established, start divvying up the space. A 50/50 split probably won’t be practical, as one of you will likely have more to store. For this process to truly work, some give and take needs to happen, which hopefully results in a space-sharing arrangement that works for everybody. Be open-minded about the fact that some flexibility may be needed with your setup once it’s in place. Leaving your shared closet redesign to a professional will be beneficial because of the expertise they can bring to the project. Most importantly, a professional closet designer will know how to plan smartly in order to maximize the storage space your closet can provide. They’ll also have ideas and suggestions you may not have considered that can improve and enhance your closet design. One major factor that impacts the effectiveness of a shared closet space is how carefully each individual’s needs were taken into consideration when the closet was designed. Does your closet design give each of you enough hanging space? Were the right closet accessories incorporated into the closet design? Is the closet laid out perfectly to accommodate the users’ heights in order to make things easy to access? This one is an important detail that can get overlooked if you buy a one-size-fits-all closet organizer from a store, instead of investing in a custom closet system. Squeezing the wardrobe of two people into a confined space and making that space function efficiently requires both creativity and well-chosen closet storage systems. A closet organizer will be the “foundation” of the space. This organization system makes it easier to group like items together and will enable you to keep your closet tidy with less effort. You’ll enhance the closet organizer’s functionality by adding useful accessories like tie and belt racks, shoe racks, and pullout valet rods. If one partner has a large watch collection, keep the timepieces properly wound and displayed with some watch winders. To keep a jewellery collection organized, jewellery drawers can be incorporated into a closet’s custom cabinetry design. 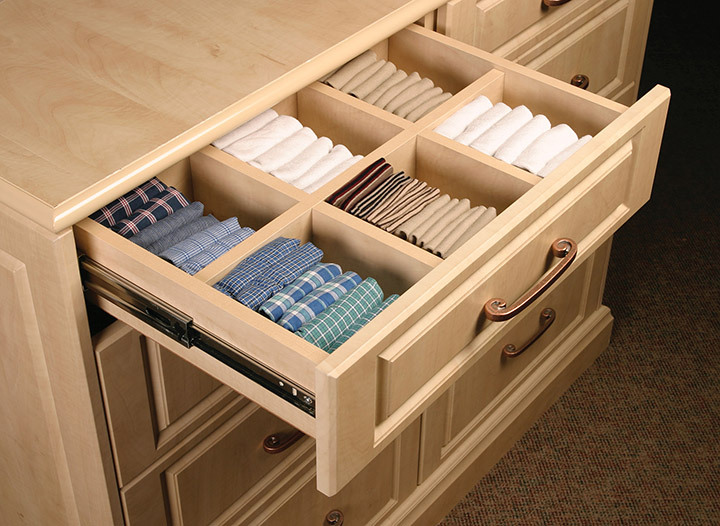 For drawers that are being shared, use drawer dividers to ensure easy organization. And no one likes to look at or smell their partner’s dirty laundry. Solve that problem with some hidden laundry hampers. Add drawer dividers to shared drawers to keep things organized. 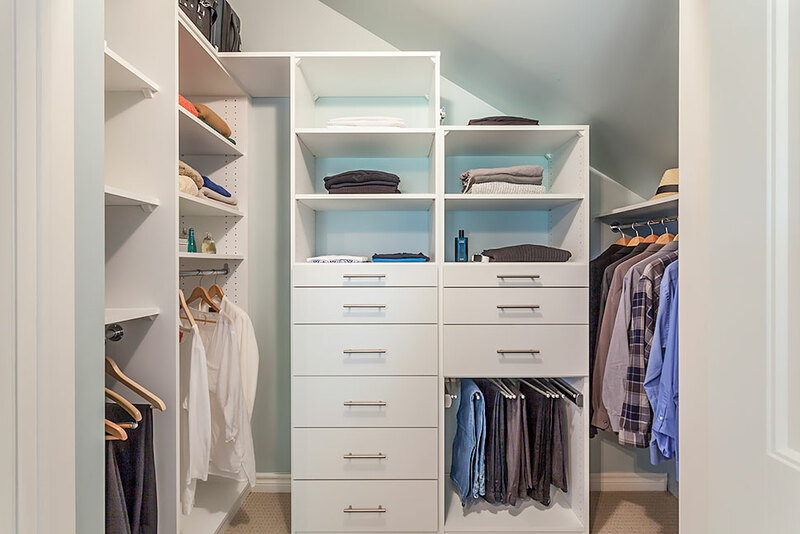 While a closet makeover will make wardrobe management easier for a couple, it may be a simple fact that your main bedroom closet is just too small. That’s a common problem in old houses. If you have a spare room that’s rarely used, converting it into a large walk-in closet (also known as a dressing room) is one effective way to keep a shared closet organized. You’ll both have much an ample amount of storage space to work with. That minimizes the likelihood of arguments that result when one partner’s belongings start migrating too far into the other partner’s space. Here’s another bold idea to consider if your home’s space allows for it – just avoid sharing a closet altogether. 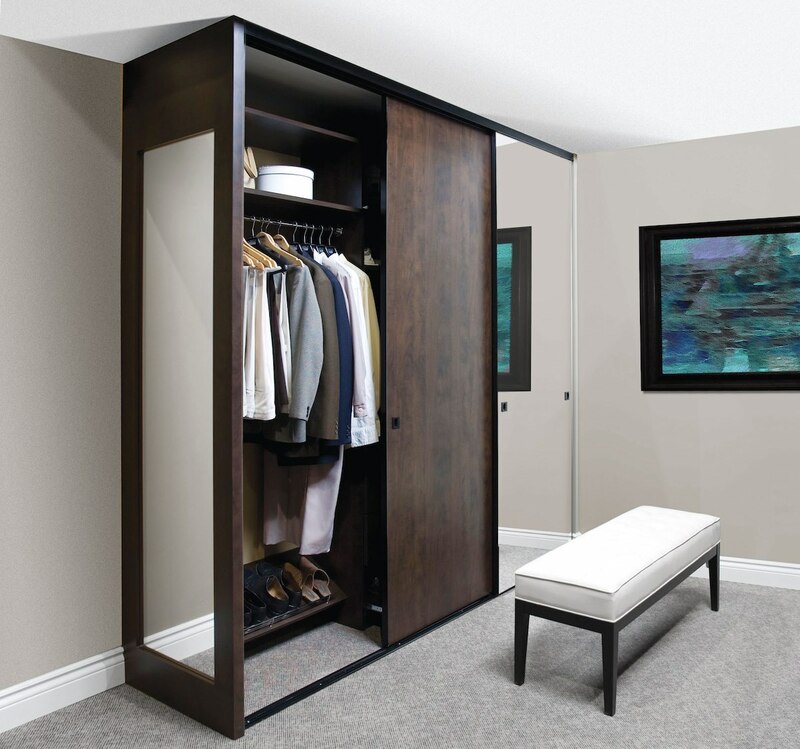 If you have a much bigger wardrobe than your significant other, take the entire dressing room while leaving your partner with all of the space in your bedroom’s existing closet. Take a look at our Her Closet and His Closet galleries for more ideas. If you lack the space in your home to create a large walk-in closet/dressing room, there are other practical storage options available. Expand your storage options with added bedroom storage solutions. create-a-closet adds closet space anywhere. Making your shared closet space function without any issues requires work, even when the best storage and organization systems are being used. To be sure, they’ll make it much easier to keep your closet organized, but a consistent, ongoing effort from both parties will result in fewer arguments over the tidiness of your closet. It doesn’t hurt to have some checks and balances in place. Perhaps once or twice a year, you can each take a little time to take care of decluttering your part of the closet. Respect each others’s closet space boundaries. And keep the lines of communication open (in a civil manner) about closet-related matters. 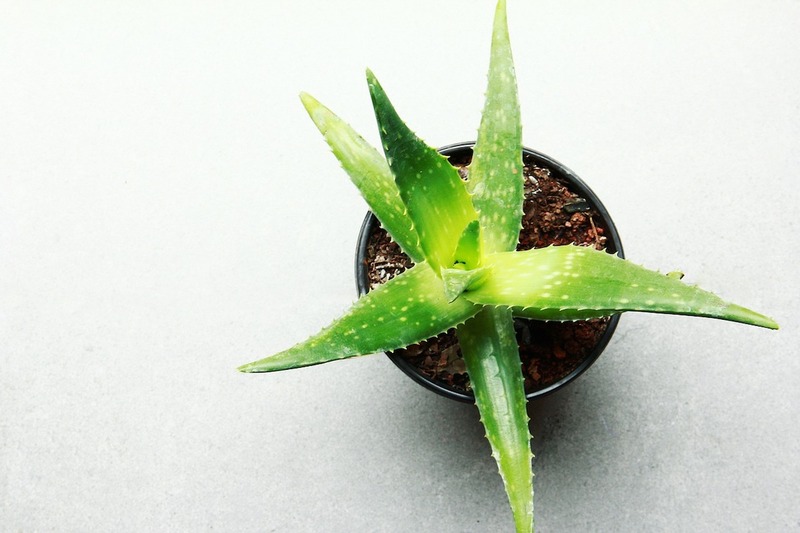 Doing so will result in keeping this part of your relationship healthy and headache-free. If a makeover of your shared closet space sounds like a smart way to restore harmony in your relationship when it comes to how your bedroom closet is used, we can help. Schedule a free in-home consultation with Organized Interiors. One of our talented design consultants will show you and your partner how we can turn your closet into a stylish, highly efficient space.